Fat loss is not rocket science. However, various infomercials will have you believe that losing body fat is some sort of occult science composed of many complex secretive principles that only a few enlightened ones have access to. You too, however, may have access to this information but only after you pay the three small installments of $49.95; according to the infomercial anyways. If you are confused about how to lose body fat, please do not feel bad; many years ago I was in your shoes too. 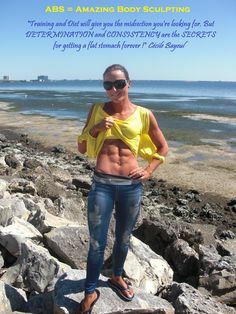 Because of that, I will share with you my 8 Fat Loss Directives. These directives are 8 simple rules that will guarantee that you start losing body fat now. In addition, I have included a Fat Burning Workout as well so that you can print it out and take it to the gym with you. 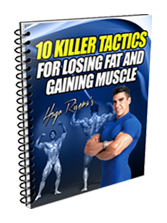 In the same manner that back in the late 80’s RoboCop was programmed with his Prime Directives, I am going to program you now with eight fat loss directives that when followed will allow you to achieve permanent fat loss along with increased muscle tone. Fat Loss Directive #1: Consume less calories than your body burns for six days a week. That is right. You need to consume approximately 500 calories less than what your body burns (maintenance amount) as if you do not create a caloric deficit, no matter what you do, you will not lose fat! However, it is important that over the weekends you increase your calories by 500-700 over the maintenance amount. This is necessary in order to prevent the metabolism from slowing down. Fat Loss Directive #2: Track your progress by taking pictures and tape measurements of your wait size; not by the weight scale alone. Be more concerned with the way you look in the mirror (or in pictures) and your waist size rather than with your total body weight in the scale. Scale weight does not distinguish between the amount of fat and muscle that you have. 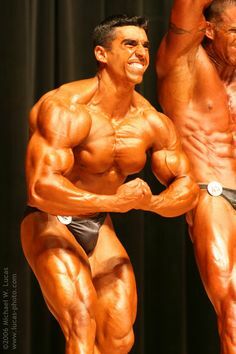 Most of the time, bodybuilders who are just starting out tell me that they need to lose anywhere between 20-40 pounds of fat. However, I would not be nearly as concerned with the weight as I would be with the way you look in pictures and your waist size. The reason for that is the fact that as you begin your weight training you will start gaining muscle mass and as a result, the scale may not show any weight loss. Therefore, stop obsessing about your weight and just concern yourself with the way you look and your waist size. Fat Loss Directive #3: Concentrate on weight training for losing fat; not aerobics. Yes, you heard right. Even though I constantly hear the line “I will lose the fat first by only doing cardio and then gain muscle after all of the fat is gone”, this is not the best way to lose fat! Cardio only burns calories while you perform the activity while weight training keeps your metabolism optimized for up to 48 hours! In addition, only weight training can permanently increase your metabolic rate since every pound of muscle gained will burn extra calories even as you sit down! In addition, using cardio as your sole source of exercise will lead to losing equal amounts of fat and muscle. The end result will be a smaller but still fat version of yourself with a lower metabolism (due to the muscle loss). Fat Loss Directive #4: Add some aerobic activity 3-4 times a week for 30 minutes first thing in the morning on an empty stomach. Performing your cardiovascular activity first thing in the morning on an empty stomach always results in the quickest fat loss results. The reason for this is that your body’s glycogen reserves have been exhausted due to the overnight fast, so the body has to rely on burning fats for fuel. If you have trouble waking up, a product like Xhilar8 can really help to get your metabolism and energy systems going first thing in the morning. In addition, this product also has ingredients that will maximize fat loss and protect muscle during exercise! Fat Loss Directive #5: Eat smaller more frequent meals throughout the day. 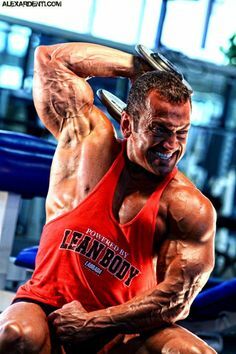 The first thing that most bodybuilding dieters do is that they start a crash diet where they only eat once or twice a day as well as increasing cardiovascular activity. Again, this is a sure fire way to lose muscle and lower your metabolism. As we already know, less muscle and a lower metabolism is not the way to get to your bodybuilding goal. In order to keep the metabolism going at full speed and the blood sugar levels under control (which keeps energy levels high and cravings away), 5 to 6 small balanced meals a day is the way to go. When I say balanced meals what I mean is that each meal should contain all of the macronutrients (carbs, protein and fats) in a specific ratio. While metabolisms differ, I have found that a ratio of 40-45% Carbs, 40-35% Protein, and no more than 20% Fats is generally the best way to go. This ratio is optimal for keeping insulin and blood sugar under perfect control. In addition, this ratio creates a favorable hormonal environment that leads to muscle growth and fat loss. While 5-6 meals sounds intimidating, not all of your meals have to be real food. If you have 5 meals, your mid-morning and mid afternoon meals can consist of a Lean Body Meal Replacement, RTD or Protein Bar. If you have six meals a day, your last meal can consist of one of these products as well. Fat Loss Directive #6: Let water be your main beverage. Time and time again I have noticed that dieters start their diets with a sincere effort and even count all the calories of the foods that they consume. However, most totally forget about the fact that fruit juices, sodas and other beverages contain calories as well. Therefore, avoid any type of drink that contains calories and concentrate on drinking plain water instead. • Your appetite will be suppressed as water helps control your appetite. Sometimes when you feel hungry after a good meal this sensation indicates a lack of water. Drinking water at that time would take the craving away. • You will get a metabolic boost as cold water increases your metabolism. • The fat loss process will be operating a full peak as water is needed in order for fat loss to occur. • You will not be drinking unnecessary calories as water has no calories. Fat Loss Directive #7: Be prepared and pack your meals in advance. One thing that totally kills dieters is going to work. Work, however, is not the culprit. The culprit is the lunch hour. If the dieter does not pre pack his/her food, lunch comes along and the person ends up going to the nearest fast food restaurant and exposing themselves to temptation that probably nine out of ten times they succumb to. Therefore, the best way to stay on the diet (and also avoid losing meals) is to pre pack everything in such a way that when a meal time comes, it is relatively easy to have access to the food. Another advantage of this is that since the food is pre packed, you will not be adding extra food to the plate. Fat Loss Directive #8: Go to bed early. 1. Lack of sleep increases your hormone cortisol, which is a hormone that stores fat and burns muscle (in other words, it does the exact opposite of what you are trying to accomplish), and decreases your testosterone levels (which need to be high in order to keep your fat burning/muscle gaining processes going at full speed). While sleep requirements vary, seven to nine hours of sleep is generally a good rule of thumb. 2. The probability of succumbing to late night cravings increases exponentially for every late hour of the day that you stay awake. *Note: Perform squats with a medium stance and when you hit failure, then change to a wide stance and keep the reps coming until you hit failure again. If you suffer from back problems you can substitute for a leg press machine and use the same technique. This routine can be performed as little as 3 days a week (Monday, Wednesday and Friday), with cardio on the off days. However, for best fat burning results, perform 3 days on and one day off. All you have to do is rotate workouts A, B, and C and then take a day off. You can do the cardio first thing in the morning on Monday, Wednesday and Friday. If you would like to do 4 days of cardio, then you can do it, Monday, Tuesdays, Thursdays and Fridays. 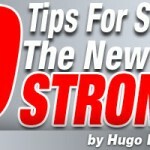 After each tri-set you can rest 1 minute to 90 seconds at the most. Keep up a fast pace. Also remember that there is no rest between the exercises in the tri-set. So for instance, you will go from Incline Bench Press to Wide Grip Pull-ups to Crunches and then rest 1 minute to 90 seconds before starting again. Note: On days that you are not performing cardio, take the Xhilar8™ prior to Meal 1. Pre Workout Supplement: 1-2 scoops Super Charge Xtreme N.O. 1-1/2 scoops of Pro V60 pre-mixed as a shake with ½ tablespoon of flaxseed oil and 1 cup of oatmeal. Water Intake: Drink your bodyweight x 0.66 in ounces of water throughout the day. Your body is mostly composed of water so if you do not drink your daily requirement you may be jeopardizing your muscle gains and also not letting your body get rid of the toxins and waste produced by all of the physical activity efficiently. Pre Workout Supplement: 1 scoop Super Charge Xtreme N.O. 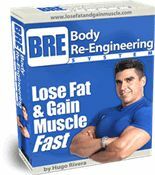 Now that you have been programmed with all of the Fat Loss Prime Directives, it is time to put them to good use so that you can get lean in no time!